The UN Security Council will hold urgent closed-door consultations on Wednesday on the crisis in Libya, where fighting has derailed UN-led efforts to prepare for elections. 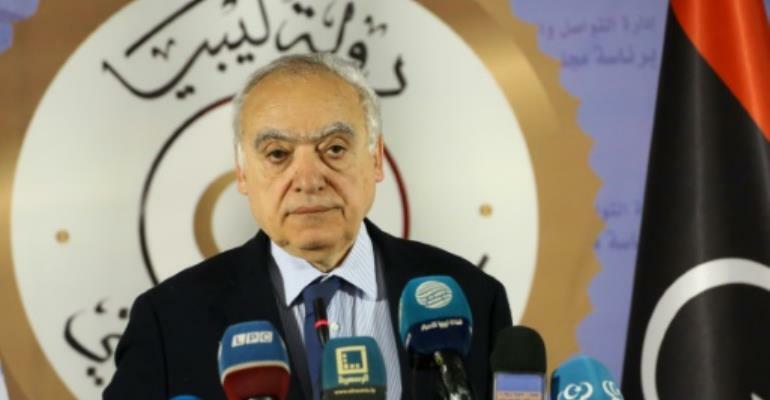 UN envoy Ghassan Salame will brief the council on his decision to postpone a national conference aimed at drawing up an election roadmap, diplomats said. Thousands of people have fled Tripoli after forces under the command of Khalifa Haftar, who controls part of eastern Libya, launched an offensive last week to take the capital. "We cannot ask people to take part in the conference during gunfire and air strikes," Salame said Tuesday in announcing the postponement of the conference that was due to open on Sunday. Tripoli is controlled by a UN-backed unity government, but its authority is not recognized by a rival administration in the east, allied with Haftar. Britain and Germany, which holds the council presidency, called for the meeting a day after UN Secretary-General Antonio Guterres called for an immediate halt to the fighting. Oil-rich Libya has been rocked by violent power struggles between an array of armed groups since the NATO-backed overthrow of dictator Moamer Kadhafi in 2011. Rival leaders agreed last year to hold elections before December 10, 2018 under a French plan, but that vote never materialized. The national conference, which had been scheduled for April 14-16 in the central city of Ghadames, aimed to fix dates for legislative and presidential elections, and work towards a new constitution.